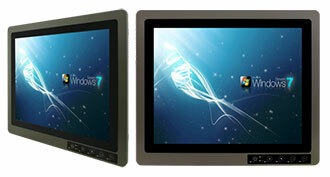 The new Winmate 19" G-Win series combines ultra rugged design with rapid processing power and rich display. 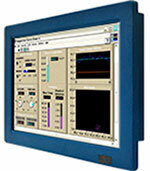 The mountable Panel PCs series offers a transflective, resistive touch 19-inch LCD display (1280 x 1024 pixels), readable in any lighting, as well as rapid processing power with Intel’s Haswell Core i5-4300U. The G-Win series offers two panel configurations: Front IP65 and Full IP67, both of which measure at just 474 x 410mm and only 73.6 mm thick, making them mountable almost everywhere. 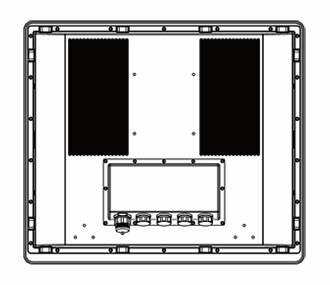 The panels are housed in a smooth aluminum die-cast case, free of indents and openings for easy mounting to walls, Yoke mounts, instrument panels, or any free-stand mounting system. 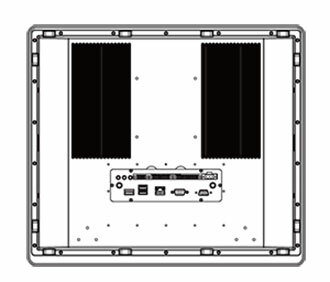 The Winmate 19" G-Win is available in two configurations: our full IP67 model, which requires screw-on adapter cables for external connectivity, and our front IP65, which offers more standard I/O connectors. 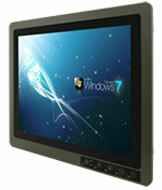 Panel PCs have different ruggedness than mobile tablets and notebook computers. 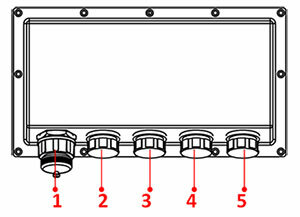 The two most important factors for a fix-mount panel PC are shock and vibration. Drop specifications, however are a negligible component. Taking this into consideration, Winmate configured the G-Win panel to pass the MIL-STD-810F 516.6 shock test and the MIL-STD-810F 514.6 vibration test. This series is also built to operate in extreme temperatures ranging from -10 to 60 degrees C (with optional -40 deg C with intelligent heater). The aluminum die-cast housing is rock solid and with its special anti corrosion treatment, it will hold up even in exposed settings.